The Paper Cutter (RC518-A3) that we deal in, is fabricated using the finest materials and is adherent to the global industry norms and standards. 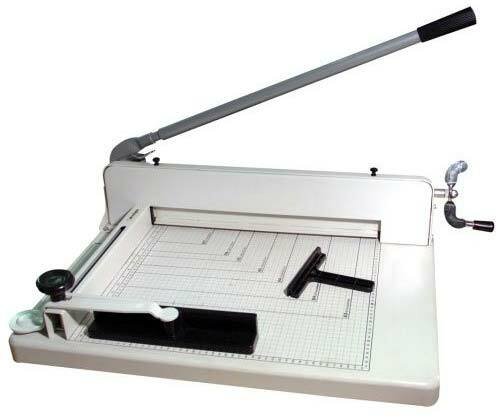 Paper Cutters can also be provided in configurations as specified by the buyers. Our Paper Cutters are best in quality yet reasonably priced. Consequently, we have become a renowned name as Paper Cutters Manufacturer, Exporter and Supplier in China & rest of the world.